Book a room at the fully refurbished Hotel Aldini, to experience the magic feeling of a historic residence in Florence, in the ancient Adimari towers. Hotel Aldini is in the heart of Florence, just a few feet from the Duomo Cathedral. Moreover, it is less than a 10 minute walk from the Santa Maria Novella train station. All the rooms at Hotel Aldini are soundproof and equipped with modern facilities and Wi-Fi access at a small one-off fee. Rooms for smokers are available, as are rooms accessible to disabled guests. Hotel Aldini provides a 24-hour front desk desk, air-conditioning in public areas, car collection and delivery service. An internet point is always available, and the hotel's staff is multilingual. Fattoria Settemerli is a fortified Tuscan farmhouse dating back to the 13th century. Surrounded by vineyards, it is set on the hills near Certosa Monastery, 7 km from Florence's historic centre. Settemerli offers colourful rooms with a rustic design, antique furniture and works of art on the walls. They also include air conditioning and a private bathroom. You can go for a walk around the farm, which produces its own extra virgin olive oil. You can sample this with some delicious Tuscan bread, also available at breakfast. There are plenty of art and history books around, plus free Wi-Fi in public areas. Every morning, you can enjoy a buffet that is served in the former olive oil store room. The restaurant opens on request at lunch and dinner and serves traditional Italian cuisine. You can catch a bus from the village of Galluzzo nearby. This will take you to Florence Santa Maria Novella Station in around 15 minutes. Free parking is provided on site. Overlooking the Basilica of Santa Maria Novella, Rosso23 is a modern hotel in the heart of Florence. It offers great service, a varied buffet breakfast and contemporary air conditioned rooms. Hotel Rosso23 features a unique red and gray color scheme throughout its interiors. The building itself is historic and elegant, with grand staircases, hardwood floors and decorative walls. Rooms are comfortable and well equipped, with a minibar, safe and a TV with satellite and pay-per-view channels. Each private bathroom comes with a hairdryer. Some have a view of the square. Rosso23 Hotel is a 5 minute walk from both Florence Cathedral and Santa Maria Novella Train Station. Free city maps are provided upon arrival. Palazzo Niccolini Al Duomo is right next to the Duomo Cathedral in Florence. It features air-conditioned accommodations, a traditional restaurant and a buffet breakfast. Elegant rooms and suites at the Palazzo Niccolini have a satellite flat-screen TV, minibar and free Wi-Fi. Suite also feature a sitting area with sofa. In the historic and shopping area, the property is within walking distance of the main landmarks and museums. Set on a hill 3 km from Fiesole, this new luxury hotel offers panoramic views of Florence's historic centre. There is a spa on site, free Wi-Fi, and free parking. Il Salviatino is a completely converted renaissance villa of the 15th century. Its extensive grounds include a greenhouse area, a private park, and landscaped gardens. Each room and suite has an individual design, which includes original artwork and Tuscan linen. Most have a Nespresso coffee machine and free mineral water. Some rooms offer a view of the garden or a view of the Cathedral. The restaurant serves modern versions of traditional Tuscan recipes, using local ingredients. The dining room with terrace enjoys a unique panorama. An à la carte breakfast is served daily. The hotel recently obtained the Andrew Harper Hideaway of the Year 2011 and the Trip Advisor Travellers' Choice awards. Golden Tower is a completely non-smoking luxury boutique hotel next to Palazzo Strozzi, in Florence's most exclusive area. It features ultra-modern rooms, a small spa, and a bar. Rooms here are stylish, with white walls and bed linens and dark-wood furniture. All come with a minibar, free Wi-Fi and a flat-screen TV with Sky satellite channels. The spa includes a hot tub, Turkish bath and sauna. A range of massages and beauty treatments are available. Golden Tower Hotel provides a buffet breakfast each morning that includes Italian cappuccino, fresh fruit and pastries. The 15th-century lobby features original frescoes and there is a library and fireplace. The staff at this 5-star hotel provide a personalized service and lots of useful local knowledge. Florence Cathedral and the Uffizi Gallery are both 5 minutes away on foot. Offering free parking and a free shuttle into the historic center, Raffaello is in north Florence, half a mile from Careggi Hospital. Its pleasant garden is ideal for enjoying a drink. All air conditioned, rooms here come with free Wi-Fi access and a TV with Sky satellite channels. You will also find a safe, minibar and private bathroom with a hairdryer and slippers. There is a good selection of continental food at breakfast, while the bar provides drinks and snacks throughout the day. The restaurant serves Tuscan dishes and wines for dinner. 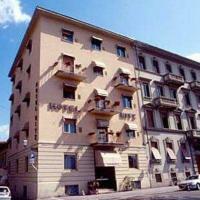 Hotel Raffaello is in a residential neighborhood, full of shops, cafés and markets on weekends. You have good bus services into Florence and a shuttle service to and from Florence Amerigo Vespucci Airport. Trains to Florence and Pisa leave from Rifredi Train Station, a 10-minute walk away. The panoramic terrace on the top floor of Hotel Kraft comes with roof garden, swimming pool and restaurant. Santa Maria Novella Train Station is a 5 minute walk away. Rooms include air conditioning, satellite TV, and minibar. The Kraft Hotel is in a quiet, residential area of Florence, close to the Arno River and Ponte Vecchio. Parking is available at a local garage that provides a pick-up and drop-off service. Each room features carpeted or parquet floors, and a private bathroom with bathtub or shower. Some rooms have views of the historic center of Florence. The bar serves international cocktails, and the fine restaurant is open between April and November. Buffet breakfast is served daily. Set in a former convent next to Florence's Archaeological Museum, Morandi alla Crocetta combines modern comforts and a vintage feel. The Cathedral is a 5-minute walk away. Rooms at the Morandi feature wood-beamed ceilings or original Florentine stuccoes, and elegant chandeliers. Each room features a private bathroom with hairdryer and bathtub or shower. The Morandi was awarded with Gambero Rosso's prize for Best 3-star Hotel, Fodor’s Choice Hotel title, and Touring Club Italiano's Value for Money mention. Hotel Golf is an elegant establishment just a 10-minute walk from Santa Maria Novella station. It combines original artwork and marble with modern facilities, including free Wi-Fi. This central hotel features a convenient, free parking lot. Leave your car and explore Florence by foot. Walk to the Fortezza da Basso conference center in only 5 minutes. The hotel has easy access to public transportation and there is a bus stop just 110 yards from the property. Each of the guest rooms at the Golf Hotel is tastefully decorated. Hotel Fiorita is located just behind Santa Maria Novella Station. Start your day with breakfast on the terrace and take in the view across the historic center of Florence. The Fiorita Hotel has been completely renovated. The guestrooms feature air conditioning, LCD TVs, and high-speed internet access. A sweet and savory buffet breakfast is included in the room rate and is available between 7:30am and 10am. The professional team of staff at reception are always available to share local knowledge, offer restaurant recommendations, and book tickets for exhibitions. In a 17th-century Florentine palace, the Paris is a luxury boutique hotel featuring fresco ceilings and stained glass windows. It is 320 yards from Florence Cathedral. Rooms at Hotel Paris are richly decorated with red carpets and antique furniture. Each room has a flat-screen TV with satellite and pay-per-view channels, a safe and a minibar. The classic marble bathrooms have a bathtub or shower and toiletries. Some rooms face Florence Cathedral or the Medici Chapels. A breakfast buffet is served in a 17th-century dining room with fresco ceilings and stained glass mosaics. There is also a hanging garden on the 1st floor, which offers views of the historic center of the city. Free Wi-Fi is provided throughout the entire building, and an internet point is available upon request. Firenze Santa Maria Novella Train Station is a 5-minute walk from the Paris. For guests arriving by plane, the hotel can arrange a shuttle to Amerigo Vespucci Airport, 6 miles away. Offering views of Arno River and Ponte Vecchio, the 4-star Hotel Berchielli is centrally located in Florence, on the riverfront. It serves a varied breakfast buffet including many local products. The Uffizi Gallery is just 800 ft away and guests can reach Santa Maria Novella Train Station and Florence Cathedral by foot in around 10 minutes. Rooms at Berchielli are decorated in a classic style with antique furniture and historic details. Each one is air conditioned and soundproofed, and comes with free Wi-Fi and satellite TV. Guests can enjoy a coffee or a cocktail from the snack bar. There are many restaurants specializing in Tuscan cuisine surrounding the hotel. The Atlantic Palace is a historic hotel next to Florence Santa Maria Novella Train Station. The rooms of the restored 14th-century monastery offer a classic style, an LCD TV, and air conditioning. Rooms still feature period elements including wooden-beamed ceilings, terracotta floors and a marble bathroom with shower. Some rooms offer views of Florence's Cathedral. Breakfast is a generous buffet including Tuscan specialties. It is served in a bright room with views of the internal garden. The Atlantic is just a 10 minute walk from Fortezza Da Basso exhibition center. Free newspapers are available in the lobby, and the bar serves international cocktails. Near the Arno River and less than half a mile from Santa Maria Novella Train Station, De Rose Palace Hotel offers a convenient location and free Wi-Fi throughout the hotel. It is an easy reach from Teatro Comunale Florence, the Ponte Vecchio and the Duomo. In a peaceful residential area in the center of the city, the 4-star De Rose Palace Hotel provides elegant rooms that reflects furnishings and atmosphere typical of ancient Florence. You will find yourself in a historic Florentine mansion where you can relax in elegant 18th-century rooms and enjoy a tranquil, central location. Some rooms have a hydro-massage bathtub. Start your day with a wide assortment of foods from the complimentary breakfast buffet, served daily in a bright and cozy breakfast room. B&B Hotel Firenze Novoli features free parking, and free Wi-Fi throughout. Public bus number 22 to Florence historic center stops outside the building. This stylish building features modern, functional rooms with carpeted floors, air conditioning, and a 26-inch flat-screen TV with free Sky satellite channels. Each room has a private bathroom with hairdryer. Breakfast is served in the bright dining hall of the Firenze Novoli. Vending machines with packed food and hot and cold drinks are available at the lobby area with TV lounge. Less than 2 km from Florence Peretola Airport, Golden Tulip Mirage is a 10-minute drive from Florence centre. It offers free guarded parking. The Firenze Nord exit of the A1 Motorway is 8 km away. Wi-Fi is free. Classic-style rooms come with carpeted floors and wooden furniture. Each features a satellite TV, air conditioning and a bathroom with shower. Some rooms offer extra space, larger beds and a balcony. The restaurant specialises in Italian classics and Tuscan specialities, made from fresh local products. Breakfast is buffet-style, and drinks are available at the bar, with the ambient sound of piano music. At Golden Tulip Mirage, attentive, professional staff are always on hand to suggest places to visit and help with useful travel info. Hotel Leopolda is in a historic building in Florence, a 15 minute walk from Santa Maria Novella Station. Each room is individually decorated and features free Wi-Fi, an LCD TV and a private bathroom. A continental breakfast is served in the breakfast room, which is also open for hot beverages throughout the day. Front desk at the Leopolda Hotel is open 24 hours a day and features safes and a luggage storage room. Here staff can book museum and theater tickets, as well as arranging guided tours around Florence. Stazione Leopolda, Florence's oldest train station and now a conference center, is a 10 minute walk away. In the heart of the historic center of Florence, just 330 yards from Santa Maria Novella Station, Hotel Goldoni offers comfortable accommodations at a great price. Start your day with a buffet breakfast, which can be enjoyed in the cozy lounge with fireplace. Wi-Fi is available completely free of charge in communal areas. Located on a typical, Florentine street full of antique shops, the Goldoni Hotel is set in an elegant, 18th-century building. The Duomo and the Uffizi Gallery are less than 10 minutes away by foot. Surrounded by a relaxing 1.5-acre garden from the late 1800s, Hotel Villa d'Annunzio is a 10 minute drive from the historic center of Florence. It features an outdoor swimming pool and free Wi-Fi. This former ancient monastery has been renovated into an elegant hotel, featuring a stylish entrance and lounge area. In the lovely breakfast room you can enjoy a generous buffet breakfast. A bar is also available. Rooms at Best Western Hotel Villa d'Annunzio are air-conditioned and come with classic furniture. Each overlooks the surrounding greenery, and includes a TV with satellite channels and a minibar. In the Campo di Marte district, the property is 5 miles from the A1 highway. 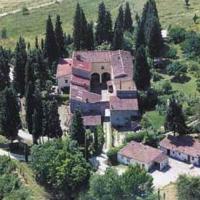 Fiesole is 3 miles away, while Florence Airport is 20 minutes by car from the property. In Florence's historic Santa Croce neighborhood, B&B Hotel Firenze City Center is a 10-minute walk from the Santa Croce Basilica. It has designer rooms with free Wi-Fi and LCD TVs. Rooms are air-conditioned and feature a private bathroom with hairdryer. A continental breakfast is available daily. B&B Hotel Firenze is set on a tree-lined boulevard, next to Piazza Cesare Beccaria. Florence Cathedral is a 15-minute walk or short bus ride away. Guests have discounts at a private parking nearby. With an unbeatable location in the heart of the historic centre of Florence and a beautiful view across the city from the roof garden, La Residenza is only 400 metres from the Uffizi Gallery and Ponte Vecchio. Set in an elegant, 14th-century building, Hotel La Residenza has a mix of classic design and modern facilities. Your room is spacious and bright and includes Satellite TV, air conditioning, and free Wi-Fi. Start your day with a continental, buffet breakfast while catching up on the news with a selection of national and international newspapers available. Relax in the TV lounge and in the hall with a free internet point. La Residenza is next to Palazzo Strozzi, host to a number of international exhibitions. You can walk to Santa Maria Novella Station in 10 minutes. Hotel Beatrice is less than 5 minutes' walk from Florence's Santa Maria Novella Train Station. There is a free internet point with Wi-Fi and free luggage storage is provided. Rooms at Beatrice Hotel are spacious, with satellite TV and minibars. The Accademia Gallery and the Duomo are 10 minutes' walk from the Beatrice. Your accommodation is close to shops, cafés and restaurants. A large, varied breakfast is served. Just one mile from Florence Vespucci Airport, this 4-star hotel offers brightly colored rooms with free Wi-Fi. Buses to Florence’s historic center stop 220 yards away, and parking is free nearby. Air-conditioned rooms at Airport Hotel feature classic wood furniture and soft carpeted floors. Each has a TV, minibar, and private bathroom with free toiletries plus a hairdryer. The staff can assist guests with tourist information and help book museum tickets. The property is in the quiet residential area of Novoli, 4 minute drive from Autostrada Firenze-Mare highway A11 . Relax in a quiet, residential area and enjoy a welcoming atmosphere, friendly service and a generous breakfast at Hotel Il Granduca, just a 20 minute walk from the Duomo. Wi-Fi is free here. You will be near small parks at Hotel Il Granduca. Walk to Piazza SS. Annuziata in just 5 minutes, and Santa Croce Basilica in only 15 minutes. Hotel Il Granduca offers old-world charm. This historic residence was a popular spot for travelling intellectuals and artists during the late 19th century. Stay in simply furnished single, double, triple or quadruple rooms. You will enjoy air conditioning, satellite TV and a balcony in every room. On request, helpful staff can assist you with private parking and a nearby parking garage. Staff can also help you rent an electric car to visit the city and the historic centre. Just 220 yards from Santa Maria Novella Train Station, Hotel Lombardi features air conditioned rooms with satellite TV. A tour and excursion booking service is offered at the 24-hour front desk. The simply decorated rooms at the Lombardi Hotel have private bathrooms and Wi-Fi access. A continental buffet breakfast of pastries, cereal and fruit juice is served daily. The Lombardi is within a 15 minute walk of all Florence’s main tourist sites including Florence Cathedral and the Ponte Vecchio. Just 325 ft from Santa Maria Novella Station, Hotel Arcadia is a 10-minute walk from Fortezza da Basso Convention Center. The hotel has a range of rooms that were completely renovated in 2013. With remote-control air conditioning and heating, rooms at the Arcadia Hotel also feature an LCD TV, a well-stocked minibar and a Carrara marble bathroom. The hotel is on the 2nd floor of a modern building with an elevator and features a 24-hour front desk and bar. Florence Cathedral is a 15-minute walk away and there are lots of buses that run from the station into the historic center. Featuring free Wi-Fi and friendly service, air-conditioned rooms and a central location, Hotel Calzaiuoli is a 2-minute walk from Florence Cathedral on Via Calzaiuoli, which runs through some of Florence's best sights. In Florence's most exclusive shopping area, the Calzaiuoli is just steps from some of the city's most famous monuments and historic buildings. The Uffizi and Accademia art galleries are less than a 10-minute walk away. Rooms at the Calzaiuoli Hotel include satellite TV, a minibar and a private bathroom with hairdryer. Some offer views out over the city's rooftops. Start the day with a generous buffet breakfast of traditional Florentine pastries and Tuscan savory items in the characteristic breakfast room. Breakfast can also be served in the comfort of your own room. The Calzaiuoli also has a reading room, where you can find Italian and international newspapers and magazines. If you are looking for a mix of modern comforts and traditional architecture, and of course great rates, Hotel Boccaccio has it all, and is right next to the station. The hotel is named after the Tuscan poet Giovanni Boccaccio. It is set in a historic, Florentine building that dates back to the 18th century. It has been completely modernized and extended and now includes precious marble and all the latest amenities. Your guest room comes with hardwood floors, air conditioning, and satellite TV with international channels. The bathroom features either a bathtub or hydromassage shower. The Boccaccio Hotel is right in the heart of Florence, between the Arno River and Santa Maria Novella Church. The station and bus terminal are just across the road. You can enjoy traditional Tuscan cuisine at the trattoria owned by the same management, a 5 minute walk away. The Grand Hotel Mediterraneo is set on the banks of the Arno River, just over half a mile from Piazza Santa Croce. Rooms have free Wi-Fi, and there are 3 restaurants serving Tuscan dishes. A 5-course gala dinner (which must be reserved) is served on December 31, 2013. The rooms with private bathrooms include satellite TV, air conditioning and a minibar. Some have panoramic views of the river, of the green hills surrounding Florence, or of Piazzale Michelangelo viewing point on the other side of the bridge. The Mediterraneo Grand Hotel features a cocktail bar and a lounge where guests can relax. It also includes 2 on-site boutiques selling Italian designer clothing and leather accessories. In the lobby, you will find an internet point with 4 computers. A garage is available, and public buses stop 320 yards away. Firenze Campo di Marte Train Station is a 15-minute walk away. The Machiavelli Palace is in a 14th-century convent, 320 yards from Santa Maria Novella Train Station. Its roof garden overlooks the historic center of Florence, and Wi-Fi is free throughout. Rooms at the Machiavelli feature traditional Florentine décor and come equipped with satellite TV, minibar and fully equipped bathroom. Some include a balcony with cathedral views, others have exposed wood beams on the ceiling. A continental buffet breakfast is served daily, and room service is upon request. A bar is available on the roof garden. The staff here can provide tourist information, as well as arrange ticket reservations for museums. Fortezza da Basso Conference Centre is a 3-minute walk away. Hotel Residence Grifone features rooms and apartments in a quiet, residential area of Florence with easy access to public transportation. The center of the city is a 15 minute walk along the Arno River. Wi-Fi is free. Hotel Grifone has an affordable parking lot. Buses stop just 100 yards from the hotel and go into the center of the city and to Firenze Santa Maria Novella Train Station. Hotel Grifone is made up of a main building that includes a TV room with satellite channels, a reading room, a cocktail lounge with bar, and a small business center with PCs, printers and fast internet access. There is even a new gym, featuring modern fitness equipment. Rooms and apartments are in the main building or in the annex, just 50 feet away. The streets surrounding Hotel Residence Grifone offer typical Tuscan restaurants, pizzerias, cafés and shops. Discounted rates apply at Il Grifone Restaurant, 100 ft away. Grand Hotel Minerva features a rooftop swimming pool and sun terrace with views of historic central Florence. Santa Maria Novella Train Station is just 330 yards away. The air-conditioned rooms offer free Wi-Fi access and satellite TV. Some have views of Florence Cathedral, just 550 yards away. The Hotel Minerva Grand has a 24-hour front desk and staff can provide information on visiting Florence’s main attractions, including the Uffizi Gallery and Gallery dell’Accademia. Hotel Minerva’s restaurant serves traditional Italian dishes and you can enjoy a drink from the rooftop bar. Just 220 yards from Firenze Santa Maria Novella Train Station, the modern Hotel Londra offers free Wi-Fi throughout the hotel. The air-conditioned rooms are stylishly furnished and there is a free sauna and gym. Each soundproof room provides a satellite TV, minibar and desk. Some also have a sitting area with tea/coffee facilities. A full breakfast including homemade cake plus cold cuts and eggs is served starting from 6:30 am. Restaurant One specializes in Tuscan dishes and Italian cuisine, while the Garden Lounge bar hosts a happy hour with appetizers and freshly-made finger food. The 24-hour front desk can organize room service and tours. A concierge service and business center are also available. Hotel Londra is a 5 minute walk from Fortezza da Basso conference center. The Duomo is a 15 minute walk away. Offering relaxing grounds, Hotel Aurora is set across from Florence’s Santa Maria Novella Train Station and just half a mile from the cathedral. This restored neo-classic property features a snack bar and air-conditioned rooms with free Wi-Fi. Rooms at the Aurora include an LCD TV, a minibar and private bathroom with free toiletries and a hairdryer. Serviced by an elevator, rooms offer large windows with views of the city, Florentine hills or the garden. A varied breakfast buffet is provided daily, and many restaurants and cafés can be found in the immediate area. The friendly and professional staff can provide tourist and travel information. The property is a 5 minute walk from Palazzo dei Congressi and 10 minutes from the Fortezza da Basso exhibition center. Private parking is available on site, and discounts are available at a nearby garage. La Vedetta is a Neoclassic hotel near the banks of Arno River, a 15-minute walk from Ponte Vecchio. The gardens include a hot tub, an outdoor swimming pool, and a terrace with views of Florence. The rooms blend antique furnishings with contemporary interior design, including a TV with satellite channels and free internet, and a stereo with a CD player. The large marble bathrooms have a spa tub. Rooms also include a minibar with free soft drinks, and a welcome basket of fresh fruit. Guests receive a welcome drink of sparkling wine or fruit juice upon arrival, and also have a free afternoon tea with homemade cake. The Onice restaurant, open daily, serves modern dishes accompanied by the best Tuscan wines. The lounge bar is open all week from 12:30 pm to midnight. The hotel has free parking, and a free scheduled shuttle into central Florence is available. Set in the 13th-century Rossi Tower next to Ponte Vecchio, Hotel Pitti Palace features a panoramic roof terrace with beautiful city views. It offers free Wi-Fi. The Uffizi Gallery is a 5-minute walk from the hotel. Florence Cathedral is 1600 ft away, while Santa Maria Novella Train station is half a mile away. The rooms at Hotel Pitti Palace al Ponte Vecchio include windows overlooking the Arno River or the surrounding medieval city area. Located in the historic center, just a short walk from the Santa Maria Novella Train Station, Hotel Fiorentino offers simple, clean rooms and a friendly, helpful staff. Most of the major sights, including the Duomo Cathedral, the Uffizi Gallery, Ponte Vecchio and Palazzo Pitti, are within easy walking distance. The hotel is also ideally positioned for business people: Fortezza da Basso and Palazzo dei Congressi are only a 5 minute walk away. The Fiorentino is open 24 hours a day and you will be provided with a card to access both the hotel and your room, where you can use the convenient Wi-Fi internet connection. Italian breakfast can be served in your room every morning between 8:45am and 9:45am. Stella Mary is on the 2nd floor of a typical Florentine building, offering comfortable rooms with Wi-Fi. Breakfast can be served in your room. Santa Maria Novella Train Station and the Fortezza da Basso conference center are a short walk away. In the area surrounding the clean and friendly Hotel Stella Mary there is a wide range of cafes and restaurants, as well as famous churches and the San Lorenzo Market. Hotel Annabella is situated on the 3rd floor of a magnificent old classic Florentine-styled building in the historic center of the city, very close to the central train station of Firenze S. Maria Novella (110 yards, only 3 minutes walk), nearby the Fortezza da Basso exhibition center, and in front of the convention and the business center. The hotel is close to the church of S. Maria Novella, the Medici Chapels and the traditional Market of San Lorenzo, next to the marvelous Church of San Lorenzo. In addition, it's only short walk from the most important museums and monuments of Florence: Uffizi Gallery (the Offices), Ponte Vecchio (the Old Bridge), Palazzo Vecchio (the Old Palace), Accademia Gallery Museum, Duomo (the Cathedral) and Cupola of Brunelleschi (the famous Florence Dome), Giotto's Tower, Baptistery, S. Croce Church, Bargello museum, Dante Alighieri's house (the most important Italian poet), Pitti Palace, Church of S. Spirito, Church of Orsanmichele, Church of S. Marco. Just 220 yards from Santa Maria Novella Station, Adler Cavalieri is right in Florence’s city center. It features free Wi-Fi throughout and classic-style décor, complete spa facilities and rooms with a private bathroom. Decorated with classic details and dark-wood furniture, each soundproof room at Adler has either wood-beam or fresco ceilings. They all come with satellite TV, while some feature an LCD TV and a spa bathtub or terrace. A varied breakfast is available every morning until 10:30 am and gluten-free food is available upon request. At the terrace bar, guests can enjoy local liqueurs. The spa area includes a free gym, along with a Finnish sauna and Turkish bath. Massages can also be booked. The staff is available 24 hours a day and can recommend sights in the surroundings. The Adler Cavalieri is a 10 minute walk from Florence Cathedral and the Fortezza da Basso exhibition center. Wi-Fi is free at B&B Hotel Firenze Nuovo Palazzo Di Giustizia. Just 2 miles from central Florence, it offers modern rooms with LCD TV. Buses to the historic quarter stop in front of the hotel. All rooms at Nuovo Palazzo Di Giustizia include independent air conditioning and a private bathroom with hairdryer. A buffet is available for breakfast. The city tribunal court, Palazzo Di Giustizia, and the Economics Faculty of Florence University are both within a 5 minute walk of the property. The Sesto Fiorentino exit of the A11 Highway is 2.5 miles away, and it is a 10 minute drive from Florence Peretola Airport. Just 215 yards from Accademia Gallery, Le Due Fontane is a 3-star hotel offering air-conditioned rooms with a minibar and satellite TV. You can walk to Florence's Cathedral in 7 minutes. In a neoclassical building, Due Fontane is in the pretty Renaissance square of Piazza SS. Annunziata. Santa Maria Novella Train Station is half a mile away. Rooms have modern furnishings and tiled floors. Each includes a private bathroom with a hairdryer and toiletry set. Magenta is a family-run hotel in a pleasant neighborhood of Florence, a 10 minute walk from Santa Maria Novella Train Station. It offers modernized rooms with air conditioning and a TV. Rooms have a minimalist design and include a minibar and private bathroom with toiletries. Hairdryers are safes are available from the front desk. An Italian breakfast is served each morning in the breakfast room near reception. You will also find a bar and a 24-hour front desk with baggage storage. Hotel Magenta is set in a building that dates back to the early 1900s. In the historic neighborhood you will find a number of popular trattorias and small restaurants. Ponte Amerigo Vespucci, a bridge over the Arno River, is just 650 ft away. Set in a 19th-century building, Hotel Andrea is in central Florence, a 10-minute walk from Santa Maria Novella Train Station. It overlooks Piazza Indipendenza and enjoys easy access to public transportation. Rooms include a TV, air conditioning, and private bathroom. They provide free Wi-Fi. Some rooms and the hall have a computer that guests can use for free. A buffet breakfast is served in the breakfast room. 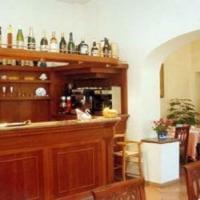 The hotel also features a bar and TV lounge, where a wide range of wines can be enjoyed. The Andrea Hotel is a 5-minute walk from the Fortezza da Basso and Palazzo dei Congressi. Strozzi Palace Hotel is just a 5-minute walk from Florence's Cathedral and the Uffizi Gallery. This 19th-century building offers a 24-hour front desk, and elegant rooms with free wired internet. The rooms of the Strozzi are airy and bright, each with individually controlled air conditioning, minibar, and a TV with satellite channels. Breakfast is a varied buffet including fresh fruit. Hotel staff can assist with tourist information, transportation, guided tours, excursions, and parking. Free Wi-Fi is available in public areas. Cellai Hotel is a 5 minute walk from Accademia Gallery with Michelangelo's David and a 10 minute walk from Santa Maria Novella Train Station. The roof terrace overlooks Florence's rooftops and hills. Cellai Hotel Florence features original paintings and antiques, in its many lounges and reading rooms. You can listen to jazz music in the library with honesty bar. Contemporary art exhibitions are held on site monthly. Each of the guest rooms is individually decorated with warm colors, and includes air conditioning, satellite TV, and Wi-Fi access. The style is classic, with wood or carpeted floors, and elegant furniture. Buffet breakfast is served by candlelight, in the former workshop of a famous local sculptor. Free bicycles are available at the 24-hour front desk. Just 330 yards from Santa Maria Novella Station, this modern hotel offers elegant rooms with flat-screen TV and free internet. The Duomo is a 10 minute walk away. Hotel Cosimo de' Medici is well placed for visiting historic Florence by foot. Both the Uffizi Gallery and the Ponte Vecchio can be reached in under 15 minutes. The Cosimo's soundproof rooms come with private bathroom and hairdryer. Some rooms have traditional Florentine furnishings. Breakfast is buffet style and includes cold meats, cheeses and fresh pastries. There is a small courtyard where guests can relax with a drink in the evenings. An internet point is also available. The staff at the Cosimo can arrange tickets for museums and theaters, as well as tours of the city. Private parking is available, for an additional fee. Hotel Ritz is right on the bank of the Arno River, a 10 minute walk from Ponte Vecchio. It has great views out over the river and the Church of Santa Croce. Guest rooms come with air conditioning and satellite TV. Some rooms have a private terrace. There is a free internet point in the lobby. Reception at the Ritz is open 24-hours a day. Here you will be assisted by the friendly staff. You can reserve museum tickets; a great way of saving valuable time during your stay in Florence. The hotel also features a reading room and bar.